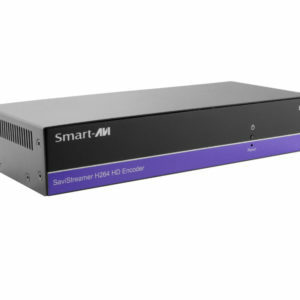 Create, distribute, and manage HD web streaming media with A/V Over IP Solutions powered by SmartAVI. Encode signals from HDMI, VGA, and stereo audio sources as H.264 web streams, and display them using a WIFI-enabled decoder anywhere in the world via the Internet. Manage your encoding and decoding units remotely from a network gateway, allowing you to organize and configure streams from the comfort of your PC. 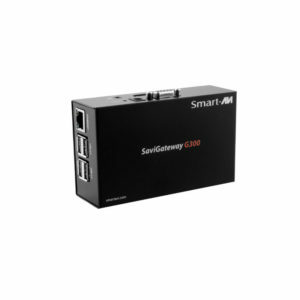 All A/V Over IP Solutions are plug-and-play, ready for immediate use as soon as you open the box; for streaming operations made simple, choose A/V Over IP powered by SmartAVI! 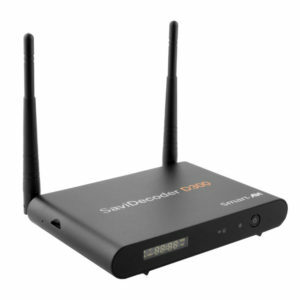 Access & display HD web streams with this WIFI-enabled 4K decoder: no computer required!